Exploring the library of Piano Maestro, you’ll find a growing collection of method and supplementary books that offer a wide range of styles and approaches to learning how to play the piano. The method books entitled Tales of a Musical Journey by Irina Gorin caught my eye because of the enchanting title. Gorin’s success at developing fine pianists is well known and so I was extremely curious to know more about her story-telling approach. What I uncovered was a playful, fairy-tale setting that sequentially develops effortless technique, ear skills, and reading from the grand staff. Her innovative tips have inspired me to keep a pencil eraser handy at every lesson! Gorin’s YouTube channel is well-stocked with videos to guide teachers and includes numerous musical and performances of award-winning students showcasing the success of her method. Make sure to purchase her books here and you’ll see why Piano Maestro is an ideal companion for you and your students as you make your way through Gorin’s charming yet effective approach. As Gorin has made information about her books extremely accessible, I was interested in knowing more about Irina. She was kind enough to answer my somewhat nosy questions. I think you will find her story just as fascinating as her books. You began lessons at 5 years old. 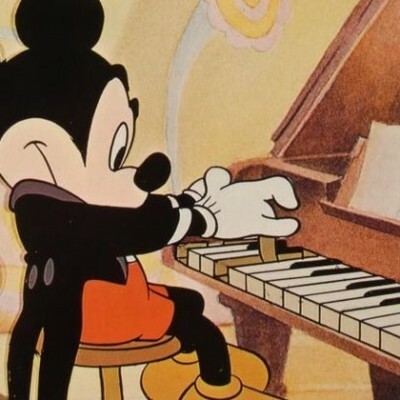 What are your earliest memories of piano lessons? Learning was easy for me. I progressed fast. My teacher loved me and I loved her. I had 2 piano lessons along with solfeggio lessons, music literature lessons, choir, and ensemble lessons every week. How strong of an influence were your teachers as a child to your instruction now? I had only one teacher in my pre-college years and I am still in contact with her. I don’t remember much of the instruction at that stage, but do recall the loving, friendly atmosphere of the lessons. I also, started assisting my teacher in helping and tutoring younger students in her class. That made me realize that teaching piano was going to be my life. How hard was it to immigrate from Ukraine to the United States? It was very hard. I came my with husband and 3-year-old son as political refugees. We arrived speaking no English, with no friends and no money. It took three years to start conversing with and understanding others. I worked as cleaning help, a babysitter, and hairdresser for the first years to make money, and a little bit as a substitute-accompanist. My biggest fear when starting lessons with my first students was not being able to understand what the students or parents might ask at the lessons. How long did it take for you to build your large studio? It took me more than 10 years. Your ability to explain and physically demonstrate the technique that you embed in your students’ hands and bodies is mesmerizing. How did you come about this approach? It took many years of research, observations of great teachers, taking pedagogy classes for years in college and conservatory, writing research papers, etc. It was my long time dream to write my own method based on my deep research of 20th-century, world pedagogy approaches. I was not happy with the materials available both in Ukraine and the United States, especially for the young beginners. One year, for the first time in my life, I started teaching 4-year-old students. I decided to write these stories for them to logically connect musical and technical concepts and make it enjoyable and entertaining for this age group. Seeing the success with this age, I started using this with older beginners (up to age 10) and have seen great results. What makes your method stand out? 1) My firm belief that technique and musicality must be taught from the very first lesson and not wait until notes and rhythm are learned. 2) The interconnected stories–students learn the new concepts on the basis of previous ones. 3) The all-in-one method book that encourages student’s and teacher’s creativity and allows individual pace of learning. 4) A technical approach brought from the best European piano schools based on approaching the keyboard starting from the big muscles of the arms and upper body first, instead of using fine, underdeveloped muscles of the fingers in 5 finger positions. That approach is not known and/or not very popular in United States. 5) The use of folk and traditional tunes of different countries as musical material. It also encourages kids to listen and play the easiest examples of classical music from the first few months of studying piano. 6) The great deal of attention given to developing musical ability in students. 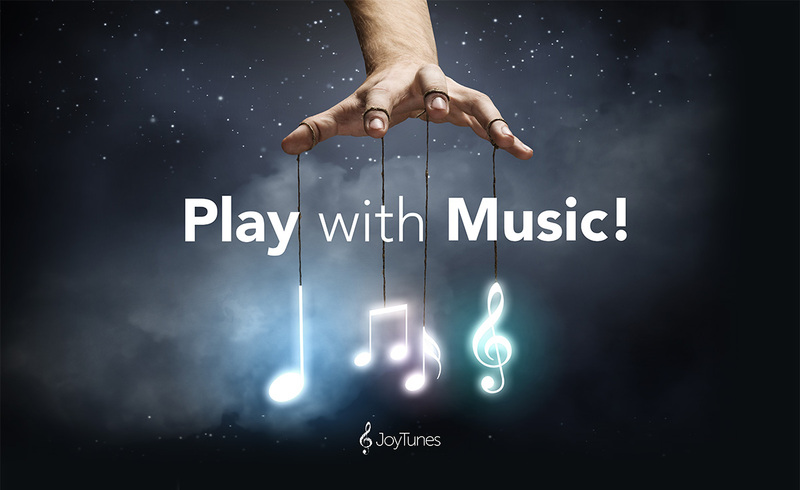 Why did you choose to feature your books in JoyTunes’ app, Piano Maestro? I was approached by the developers of the app with the offer to feature my books, and when I learned how it worked, I was very happy to join. It gives students, parents, and teachers additional tools to practice the tunes with the accompaniment. In addition, I love to use the other method books and songs as supplemental sight reading materials. Have you seen a marked change in the skills of your students since using Piano Maestro? If so, how? Yes, it mainly helps with sight reading practice, developing the steadiness of the beat. It also makes the home practice more enjoyable for young children. Congratulations on so many of your students winning prestigious competitions. Why do you think your piano students stand out among the other competitors? Thank you! I’ll have to repeat myself 🙂 I strive to develop my students technical and musicianship skills from the very beginning stages. I have them listen to a lot of classical music, read about composers and pianists–Piano Explorer Magazine is a great resource. I offer them a lot of public performance opportunities to develop their artistry, stage presence and watch others perform. Why do you enter students into competitions? The students learn life lessons from performing in public and/or competitions. The competitions motivate them to practice more. The awards make them feel good about their studies and efforts. Not earning an award in a competition helps them to understand the importance of practice. I am one of the founders of the Carmel Debut International Piano Competition in Indiana. 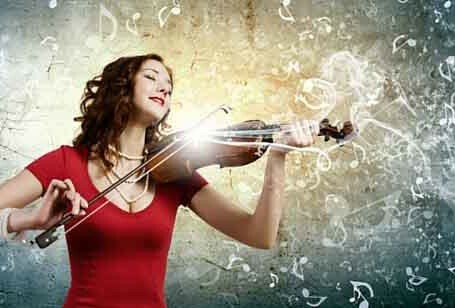 Our mission is to educate the community to appreciate classical music. We promote awareness and the significance of music education, recognize exceptional young artists and expand their musical horizons through performances at world-renowned concert venues. Our goal is to recognize exceptional young artists and expand their musical horizons through performance and education. The competition is aimed towards talented young pianists worldwide. Your method book includes theory and encourages exercises in composition. How do you integrate creativity beyond your method books into your pedagogy? I include playing by ear, improvising on given lyrics, and encourage students to compose on their own. It appears you value both private and group lessons. Why? How often do you teach in groups and how do you fit them into your schedule? I don’t teach group piano lessons. Only teaching theory in a group setting is acceptable to me. I do offer music appreciation classes to young children who are not ready to take individual lessons. I also teach ensemble lessons (piano duets, trios, quartets). Scheduling-wise it’s a challenge, but it is definitely worth it. Your YouTube channel is well-stocked with videos demonstrating your teaching style, technique method as well as student performances. What led you to video your teaching and your students? From many testimonials I see it’s helping a lot of teachers in their own teaching. After Tales of a Musical Journey came to life, I’ve created another YouTube channel, specifically with a step-by-step approach to teaching with Tales, and first repertoire suggestions after the books have been completed. The Art of Pedagogy (originating with you as the administrator) has grown to nearly 10,000 members. Why did you begin the group in the first place? Why do you think this group is so popular? 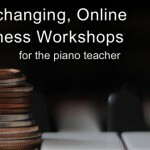 I wanted to share my passion of teaching piano with other teachers, learn more about teaching approaches from teachers around the world, and to explore new compositions of living composers. It seems a lot of teachers share similar ideas and want to communicate with others. I think the group is popular because teaching in a private studio does not provide many opportunities for communication, especially for those who are not members of their local organizations. You began teaching piano lessons at age 16. Were you given pedagogy lessons as well as private lessons? It appears that you have passed along your pedagogical legacy to faculty made up of your advanced students, graduates, and professional piano teachers. How do you groom them for this wonderful opportunity? Are they required to take pedagogy lessons as well as piano lessons with you? Do they teach in your studio or some where else? I provide pedagogy classes to fellow teachers and advanced students in my studio. I also allow teachers and students to observe my lessons and then I take time to answer all their questions. Thank you, Irina Gorin for your willingness to let us learn more about you. If you want to immerse yourself in Gorin’s world-class pedagogy, consider attending her workshop to be held in Indiana, August 6-8, 2015. Learn more by following this link. Are you already using Tales of a Musical Journey in Piano Maestro? Tell us your experience in the comments below! Mme. Gorin is a loving teacher, a knowing mother, a finely trained musician, with an enthusiasm for teaching especially the young child. Her method is wonderful, but I would add, that the most vital thing that comes out is the marvelously imaginative story conception, which captivates the child immediately. The success of the method is ultimately in the hands of the teacher, because, as with all good things, the spirit, dedication, and enthusiasm of the teacher creates the needed spark in the pupil and parents. And, further, the teacher must crave constant excellence, in order for this work to catch fire!